With less than three weeks to go, and with the Arizona Coyotes still firmly entrenched in a tight race for the final playoff spot in the Western Conference, there’s no doubt that, over the next few weeks, every game (and point) matters. There are only nine games remaining, and only 18 more points can be gathered, giving the Coyotes a 96-point maximum for this season. Six wins in those nine games will give Arizona 90 points – would that be enough to qualify for the Stanley Cup playoffs? Can they gather those much-needed wins with five road games and four home contests remaining? After splitting a tough Central Division road back-to-back, the Coyotes returned home and kicked off a short two-game homestand on Thursday evening at Gila River Arena against the Anaheim Ducks. Following a 3-1 loss to Bob Murray’s squad back on Mar. 5 in what was, in Rick Tocchet’s words, a “garbage” effort, the ‘Yotes were determined not to lose another game to the Pacific Division’s seventh-place team. They indeed scored the first goal of the game late in the opening period, as Oliver Ekman-Larsson beat goaltender Ryan Miller with a long-range wrister for the team’s 15th shorthanded goal of the season. Jason Demers then added another goal shortly thereafter, and, after Jakob Silfverberg cut Arizona’s lead in half early into the second period, Vinnie Hinostroza proceeded to score a natural hat trick in what eventually became a dominating 6-1 Arizona victory. The Coyotes then welcomed Connor McDavid and the Edmonton Oilers to Glendale on Saturday night in another must-win game against a non-playoff team. Arizona entered the game with the better record between the two teams, but Edmonton entered with the best player on the ice, and this one rapidly became the “McDavid Show” as a result. No. 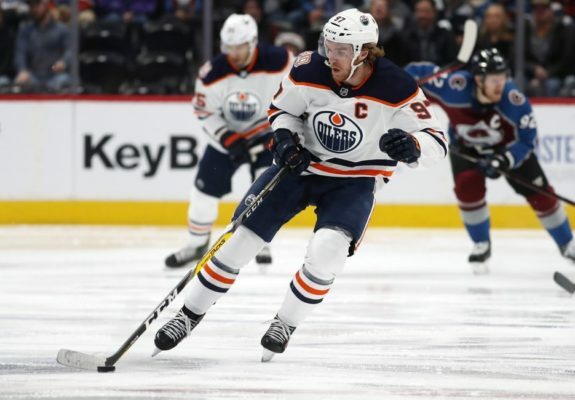 97 in Orange, Blue and White factored in on all three Oilers’ goals – he scored a shorty to open the scoring in the first period, he collected the primary assist on Matt Benning’s second-period goal, then put home the GWG in overtime to give Edmonton a 3-2 victory. With their two-game homestand in the books, the Coyotes hit the road and began their final “big” road trip of the season on Monday night in Tampa Bay. The Lightning entered the game as the NHL’s highest-scoring team, and they boasted the league’s No. 1 power play and penalty kill units as well. However, the Coyotes played well against the league’s Presidents’ Trophy winners – they took an early lead on a goal from Clayton Keller which came after a number of great shifts in the offensive zone, but, eventually, Tampa’s talent took over. Steven Stamkos and Victor Hedman both scored to give the Bolts a 2-1 lead, and Andrei Vasilevskiy took things from there – he made 28 saves on 29 shots and, after two late empty netters, the Lightning took this one 4-1. 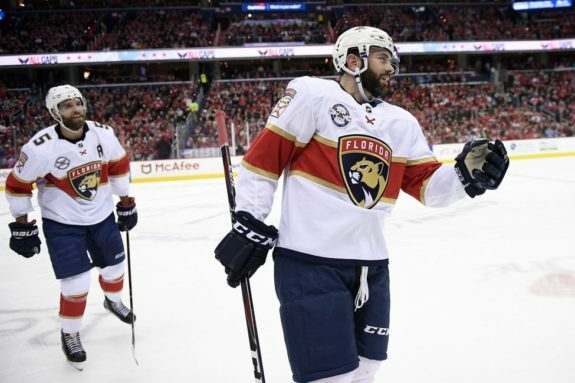 After their loss in Tampa, the ‘Yotes will remain in the Sunshine State and will look to get back on track when they visit Keith Yandle and the Florida Panthers on Thursday evening. These two teams met very recently in Glendale, when the Coyotes picked up a 4-3 shootout victory after Derek Stepan tied the game late in the third period with a shorthanded goal. After having the previous two days off to rest and relax in South Florida, energy shouldn’t be an issue for Arizona in this one, which will get started at 7:00 P.M. local time in Sunrise (4:00 P.M. in Arizona). 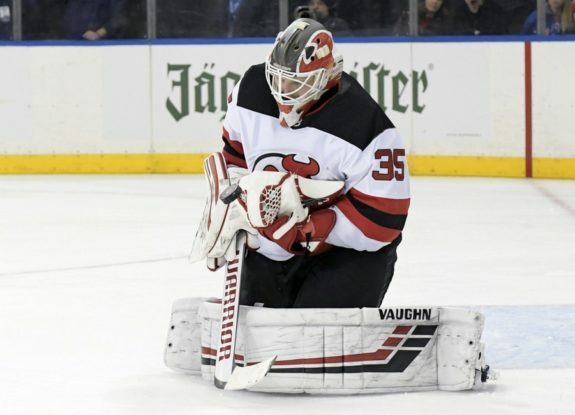 From there, Arizona will make the flight up to New York City for a back-to-back starting on Saturday afternoon in Newark against the New Jersey Devils. As they continue to stay in the hunt for the postseason, this is a game that, on paper, the Coyotes should win. New Jersey is one of the Eastern Conference’s worst teams, and Arizona already let a point slip away against the Devils at Gila River Arena back on Jan. 4 in a 3-2 shootout loss. They can’t afford to give away any points against non-playoff teams during the season’s home stretch – this vitally important game will get started at 1:00 P.M. local time at the Prudential Center (10:00 A.M. in Arizona). The finale of Arizona’s four-game roadie will come on Sunday afternoon when the Coyotes will visit the New York Islanders. The game will be Arizona’s first at the Nassau Veterans Memorial Coliseum since the Islanders left for the Barclays Center following the 2014-15 season. With the Islanders occupying the No. 2 spot in the Metropolitan Division, Arizona’s recent struggles at the Coliseum (and Barclays Center), New York’s defensive prowess under new coach Barry Trotz, and the fact that this is the second half of a back-to-back, it could be a tough day on the Island. The Coyotes need to find a way to get at least one point out of this one – puck drop is scheduled for 3:00 P.M. local time (12 noon in Arizona) in Uniondale. Following their back-to-back in NYC, the Coyotes will return home to Arizona for a vitally important home game against the Chicago Blackhawks on Tuesday night. 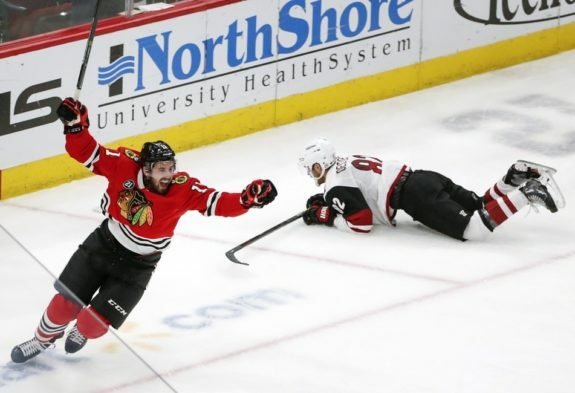 As of this writing, the Blackhawks are just four points behind Arizona in the Western Conference wild-card standings with a game in hand – the ‘Yotes can’t afford to drop this one and let one of their rivals get closer in the hunt for the postseason. Puck drop is scheduled for 7:00 P.M. at Gila River Arena. We finally have some separation in the Pacific with less than three weeks to go in the regular season, but what’s happening with the rest of the division? Analysis: Anaheim has played some good hockey as of late, going 6-3-0 in their last nine, but their resurgence has come a day late and a dollar short. The two wins in a 58-day span from Dec. 17 to Feb. 13 will likely keep both Ducks fans and players awake at times over what is sure to be a long offseason in Orange County. Analysis: Although they’re not playing great, consistent hockey at the moment (and goaltending questions still remain), the Flames managed to open up a three-point lead over the San Jose Sharks for first place in the Pacific Division with a 2-1-0 week. 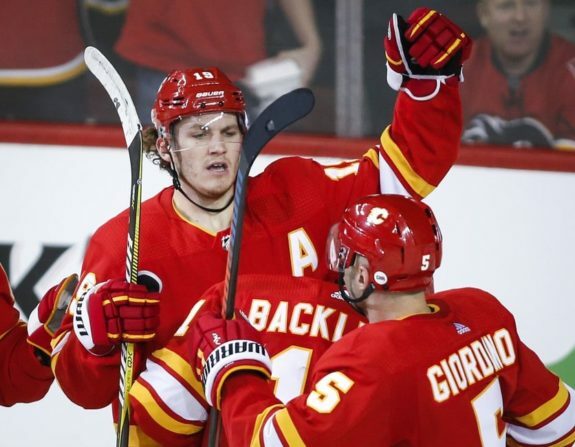 Calgary hasn’t won a division title since the 2005-06 season – is this their year? Analysis: Last week, we wondered if the Oilers would be able to sustain their hot streak, which resulted in a 7-2-2 record from Feb. 19 to Mar. 11. We got a decisive answer – The Most Inconsistent Team in the NHL™ won just once in four tries last week, and allowed 19 combined goals during their three losses. Ouch. Analysis: It’s official – there will be no postseason hockey at the Staples Center this season. In the five seasons following their 2014 Stanley Cup championship, the Kings have missed the playoffs three times and have exactly one playoff victory. Is it time to break up the core of Dustin Brown, Anze Kopitar, Drew Doughty, Jeff Carter, and Jonathan Quick, and start over? 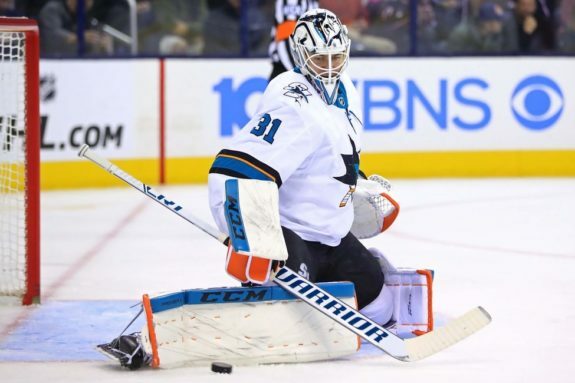 Analysis: San Jose’s hopes of winning the Pacific Division took a bit of a hit last week, as the Sharks lost three straight home games by a combined score of 15-7 and fell three points behind the Flames as a result. Their Pacific Division fate is no longer in their hands – they’ll need some help from Calgary to win the division and avoid a first-round meeting with Vegas. Analysis: For the first time since Jan. 18 and Jan. 20, the Canucks have won two consecutive games! The mini hot streak has come too late to help Vancouver qualify for the postseason, but they can continue to play spoiler down the stretch as they play out the string. Analysis: The Coyotes briefly climbed to within four points of the Golden Knights in the Pacific, but Vegas erased all doubts relating to their hold on the No. 3 spot in the division by rattling off three straight wins last week. Since the Mark Stone trade, the Knights are 9-1-0 – they probably won’t catch the Sharks or Flames in the Pacific, but they’re looking like a much scarier first-round opponent now than they did 10 games ago. 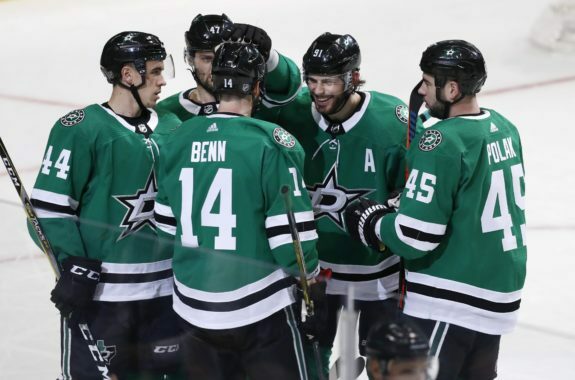 Analysis: The Stars have given themselves a nice cushion over the rest of the Western Conference with a 7-2-1 record over their last 10 games, but they’re far from out of the woods – they’ll need to finish strong to hang onto that No. 1 wild-card position. Analysis: There may not be a team in the NHL more frustrating than the Minnesota Wild right now. They’re still right on the cusp of a playoff spot, but, based on their play over the last few games, they look absolutely nothing like a playoff team. Since a 6-0-2 stretch from Feb. 21 to March 7, the Wild are 1-4-1, and must play five of their final eight games on the road. Analysis: Don’t look now, but, after two consecutive victories to close out the week, the Colorado Avalanche are just two points out of a playoff spot. They’re still without captain Gabriel Landeskog as he recovers from an injury, but the Avs are hanging around well enough without him. Analysis: The Blackhawks, who have earned points in their last six games (5-0-1), have quickly climbed back into playoff contention in the West after sitting at three games below .500 just 17 days ago. They have a tough remaining schedule, with only one game coming against a non-playoff contender – can Chicago pull off the impossible and qualify for the playoffs after a 10-19-6 start?